Thanks to recent changes to attitudes and the law, cannabis is now a rapidly-growing industry. Medicinal cannabis undergoes lab testing, requiring the hiring of qualified individuals who understand lab setup as well as various testing procedures. Laboratories involved in the comprehensive testing of cannabis will typically test cannabis for residual solvents, physical and microbial contamination, potency, and terpenes. 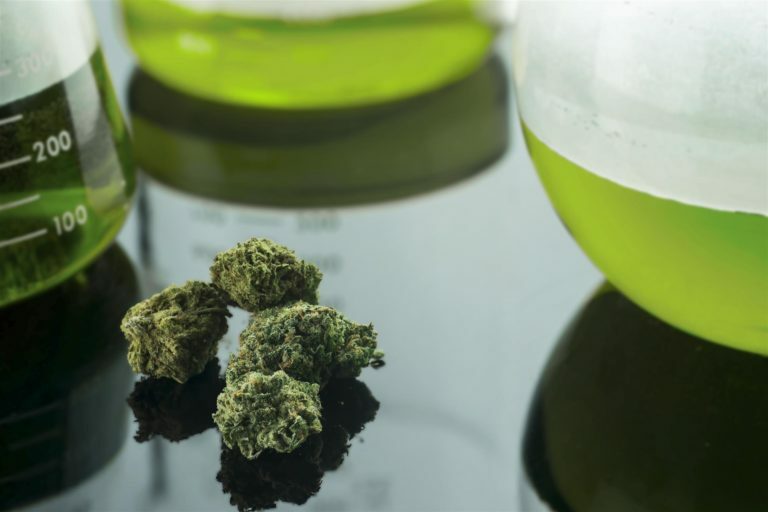 Residual solvent analysis involves the extraction of active ingredients from cannabis via the use of solvents such as ethanol, carbon dioxide, butane, water, and other materials. Solvents play a significant role, with large volumes required in order to achieve higher purity levels and increase the efficiency of extraction. Following extraction, further testing must be done to ensure that the highest percentage possible of solvents has been removed. Following this, the amount of residual solvent left in processed cannabis, expressed in parts per million (ppm), can be determined. Headspace analysis is performed to determine the amount of residual solvent present. This involves the use of a gas-tight syringe to obtain a small gas sample from those in the headspace of a sealed vial of the prepared sample. Testing for the physical and microbial contamination of cannabis requires several steps. The packaging and handling of cannabis needs to occur on clean surfaces, and all who handle it wear gloves in order to avoid physical contamination. Medicinal cannabis tested on Genie Scientific lab furniture should be packaged in a clean area, and the product should never touch the floor. Without microbial testing, cannabis may pose a safety hazard. Some of the procedures involved in the microbial testing of cannabis include statistical sampling, relevant microorganism testing, and sound assay design and validation. The level of water activity in any cannabis sample is instrumental to its microbial content. Therefore, the curing process must be both sufficient and thorough. If cannabis samples are fresh, tests for E.coli, Clostridium botulinum, and Pseudomonas aeruginosa will be required. The potency of cannabis refers to the percentage of cannabinoids contained in the sample being tested. Depending on the state in which testing occurs, a sample’s THC and CBD levels, along with its tetrahydrocannabinolic and cannabidolic acids may be all that’s required. Other labs may opt to test samples for their CBC and CBG as well. Testing for potency involves gas or liquid chromatography for a range of matrices. The measurement of fragrance and flavor compounds present in a cannabis sample requires terpene analysis. Gas and liquid chromatography is used to determine terpene content, which contributes to the sample’s flavor profile. There are several tools and procedures required for the purpose of cannabis testing. 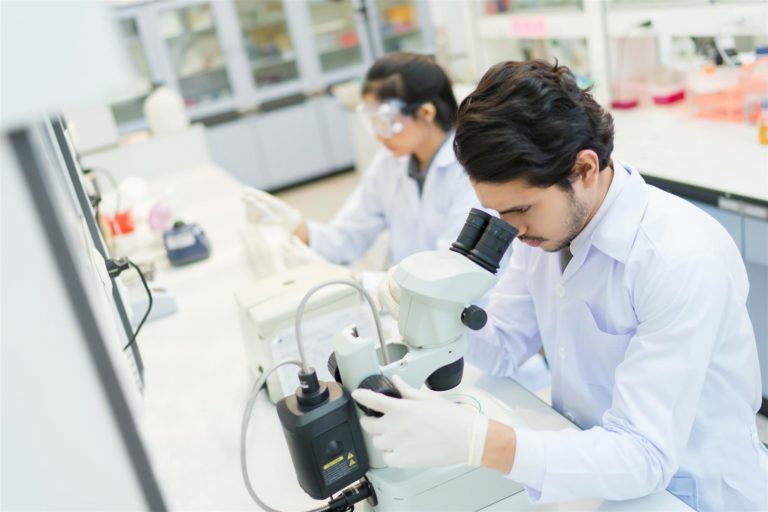 When a sample is submitted to the lab for potency testing, it will typically undergo an initial visual inspection with a high-magnification dissecting microscope. This will reveal the presence of any mold or visible contaminants. Following the confirmation of a clean sample, it must be ground into fine plant material, where solutions are added for the purpose of separating the cannabinoids from it. The resulting cannabinoid solution must then be extracted. In this state, the solution can be tested with a high-pressure liquid chromatograph, which is the most widely accepted means of testing cannabis for potency. However, gas chromatography (GC) and thin layer chromatography (TLC) can also be used for potency testing, although they will not allow cannabinoids to be measured in their naturally-occurring forms. Where testing for pesticides is being conducted, mass spectrometers will be needed, as they are able to detect a number of particles. Because the process uses a heating process similar to GC, dependable results can be had with gas chromatographs equipped with both a mass spectrometer and thermal conductivity detector. Terpene, contaminant, and strain testing can all be accomplished using real-time polymerase chain reaction. Not only does it allow for the precise amounts of bacteria, mold, yeast or fungus on a sample to be known, but it is also capable of the simultaneous quantification of DNA molecules. PCR units allow for results to be obtained in less than one hour, which is far faster than other testing methods. Several tasks are involved with the processing of cannabis for medicinal usage. Therefore, a wide range of degrees, knowledge, and experience is required. Analytical chemists know their way around the lab workbench and are required to have specific training on the lab equipment involved with testing such as gas chromatographs and mass spectrometers. Analytical chemists assist and direct lab technicians in the operation of this equipment. The individuals who test cannabis samples will need to possess knowledge of headspace, GC MS, MS/MS, and HPLC testing methods. In addition, they need to be able to ensure proper operation of instrumentation via the review of raw analytical data. Sample preparation, handling, and reporting knowledge is also required. Analytical chemists also assist with other tasks related to lab operation, participating in cleaning, sample staging, and sample preparation. 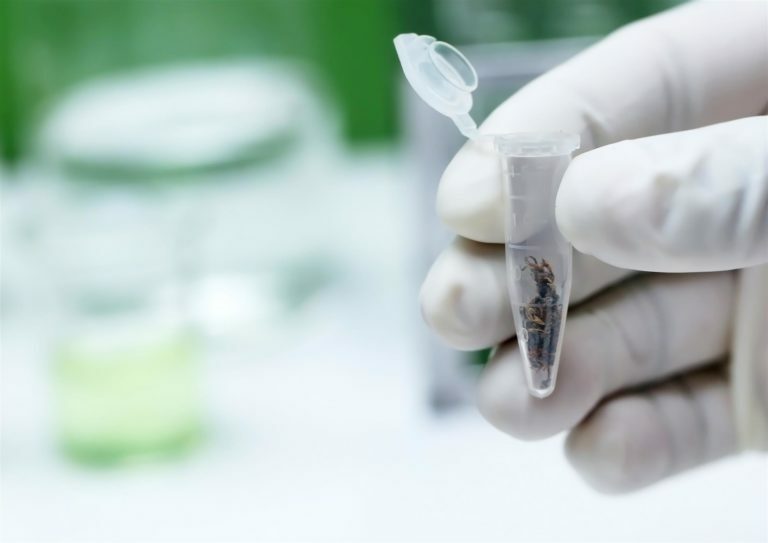 As they also typically assist with the development of new methods for testing, knowledge related to pesticides, solvents, and all aspects of potency testing will be mandatory. In addition to the above, chemists will also be responsible for lab setup and the establishing of methods for all types of cannabis testing. Analytical chemists will require a PhD, Master’s or Bachelor’s degree in chemistry or a similar field, and must have experience with testing equipment. They must be comfortable working in the fast-paced lab environment and possess good interpersonal and communication skills. An extraction technician is responsible for the preparation of equipment and plant materials for cannabinoid extraction. They must possess experience as a lab or extraction technician, with a background in inorganic and organic chemistry. They may also be required to have oil extraction experience and be familiar with flammable storage cabinets and processes for CO2 extraction. These individuals also process extracts and concentrates, as well as clean and maintain equipment and the lab itself. Extraction technicians must be able to maintain a strict and current inventory of all equipment, chemicals, and plants in the laboratory. They can also be required to know how to repair and adjust the centrifuges, microscopes, pumps, and chromatography equipment used in the lab. The extraction technician’s job goes beyond actual lab work to include the storage of equipment and supplies, clerical tasks, MSDS maintenance, and the sterilization of glassware used for testing. Experience required for the position of extraction technician includes one or more years with extraction or concentrates in a lab setting. They must also have an understanding of the cannabis regulations and industry applications for the state they will be working in. Education that may be preferable but not mandatory may include an Associate’s or Bachelor’s degree in chemistry, knowledge of medical marijuana benefits and law, and experience with extraction analysis and purification. Multitasking will be required, as will the ability to work in an environment of fast and constant change. Technical institutes offering training on the instruments used in the lab are ideal locations for those who already possess experience with lab equipment and have a Bachelor’s degree that focuses on chemistry. These institutes will usually provide hands-on training for equipment operation, testing methods, and troubleshooting, to name a few. Cannabis as a legal industry is, in many ways, still in its infancy. Therefore, the training programs available will vary by state, as will the teaching methods and learning materials that are distributed. Also, as more about the cannabis plant itself is learned, the content of learning materials will change, as will the procedures for proper testing and extraction, something that would-be chemists and lab technicians will want to keep in mind.